The Software Defined Radio revolution brought great flexibility in VHF and UHF reception. Today we offer the best wide band receivers which address these needs. We also provide a high performance extension for weak-signal wide band reception on HF – something other competing solutions in our price segment fail to address efficiently. Airspy HF+ is a paradigm shift in high performance HF radio design. It is a joint effort between Airspy, Itead Studio and some famous chip maker to build a state of the art SDR for HF and VHF bands. Like most high-end HF receivers, the HF+ uses very high dynamic range ADC’s and front-ends. But unlike the current offerings in the market, it also brings more frequency agility by using high performance passive mixers with an excellent overtone rejection structure. No external band aid filters are required like the lower end HF receivers, which makes it the ideal companion for light portable high performance operation. You like it? Share your spectrum with your friends! 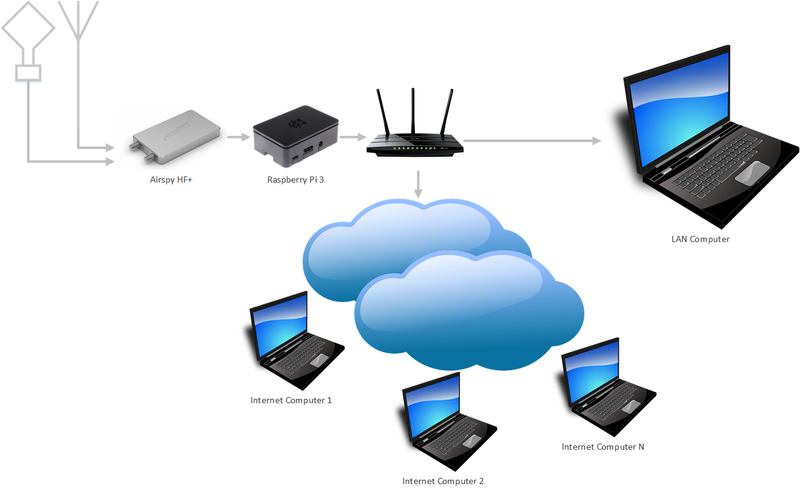 The server software is highly scalable and can run on computers as small as the $7 Orange Pi Zero to top end 64bit servers with multiple cores/cpus, passing by the popular Raspberry Pi series. 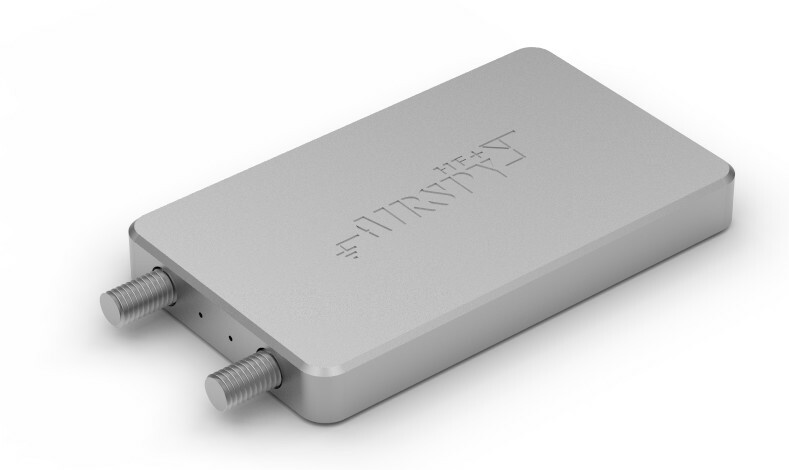 Airspy HF+ achieves excellent HF performance by mean of a low-loss band filter, a high linearity LNA, a high linearity tunable RF filter, an over-tone-rejection (OTR) mixer that rejects up to the 21st harmonic and an IF filter. The 6 dB-stepped AGC gain is fully controlled by the software running onto the DSP which optimizes the gain distribution in real time for optimal sensitivity and linearity. OTR is a key issue in wide band HF receivers because of the large input signal bandwidth. The output of the IF-filter is then digitalized by the IF ADC for further signal processing. Excellent VHF performance is also achieved by using optimized signal paths composed by band filters, high linearity LNAs with a stepped AGC and an over-tone-rejection mixer and IF filters optimized for their respective bands. The amplifier gain is switchable in 3 dB-steps and is fully controlled by the AGC processing running onto the DSP. The RF signal is converted to baseband by a high linearity passive mixer with overtone-rejection structure. The low-IF signal is then converted into the digital domain by the IF ADC for further digital signal processing. The IF digital to analog converter has a 4th order multi-bit topology; it features very high dynamic range and linearity. The IF-ADC sampling frequency is determined by a control algorithm running on the DSP. This advanced technique changes the sampling frequency depending on the tuning frequency with the goal of avoiding the disturbances generated by the switching discrete-time sections of the IF-ADC. Once the IF signal is digitalized, the high sample rate I/Q stream is then frequency translated and processed with cascaded CIC and FIR decimation stages. After every stage, the sample rate is reduced and more the resolution is increased. The final signal at the output has 18bit resolution and the alias rejection performance is 108 dBc. The data is then scaled to 16bit and sent to the Micro-Controller for streaming over USB.